Ok, this will be a short one. Probably I will create a category like “code snippets and hints” to include all these small articles. This is about zombies in your coding projects and how to chase them. 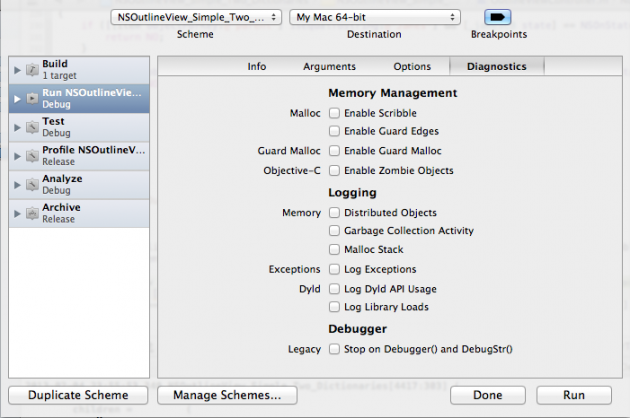 Enabling a project to trace zombies is different in XCode 4 than in previous versions. There is a special section inside “Run for debug” scheme. Edit scheme in project options. You have at least three ways to access this. One is using the “edit scheme” option in the drop down. 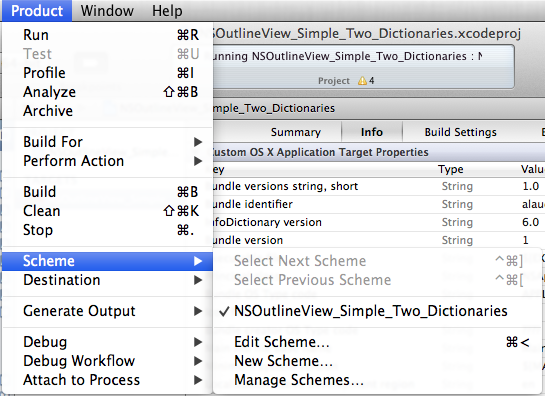 The second is to choose product -> scheme -> edit scheme from XCode menu. Choosing edit scheme from menu. Run panel with enable zombie objects option under memory management section. A zombie: message to a deallocated instance — captured at runtime. Filed in Apple Programming, Code Snippets & Hints, Most viewed and tagged Cocoa, memory management, Objective-C, programming. Bookmark the permalink.